A report says Martin Shkreli's Turing Pharmaceuticals will 'roll back' the price of a lifesaving treatment for people living with HIV — but only for hospitals. Martin Shkreli, the Turing Pharmaceuticals founder who made headlines and earned the scorn of millions when he jacked up the price of an anti-parasite drug 5,000 percent, is again under attack. This time, though, it’s for how little he's reducing the price of Duraprim, which is a critical and often lifesaving treatment for people living with HIV and others with compromised immune systems. The drug, which once cost $13.50, now goes for $750 per pill, and the Wall Street Journal reported Friday that the price will soon be cut up to 50 percent — but only for hospitals. And according to the Journal, the discount will depend on how much of the drug a hospital uses. The Human Rights Campaign criticized Shkreli for limiting the “roll back” to hospitals and not consumers, and for not reducing the cost to anywhere near its original pricepoint. “Martin Shkreli is not pulling the wool over anyone's eyes,” said HRC President Chad Griffin in a statement posted online. Turing remains under investigation by New York Attorney General Eric Schneiderman for possibly violating antitrust laws by limiting distribution of a drug that is essential to the lives of medically vulnerable people. The Senate has also launched a bipartisan investigation into the matter. As explained to The Advocate by infectious disease specialist Dr. Kalvin Yu, who is currently the chief integration officer at Kaiser Permanente Southern California, Duraprim is the cornerstone component of a combination of two or three drugs used to treat toxoplasmosis, an infection in the brain that can cause blindness, seizures, and neurologic deficits in movement. It is acquired by ingesting the toxoplasmosis organism via undercooked meat and contamination with cat feces. People with immune system deficiencies and pregnant women are particularly at risk. 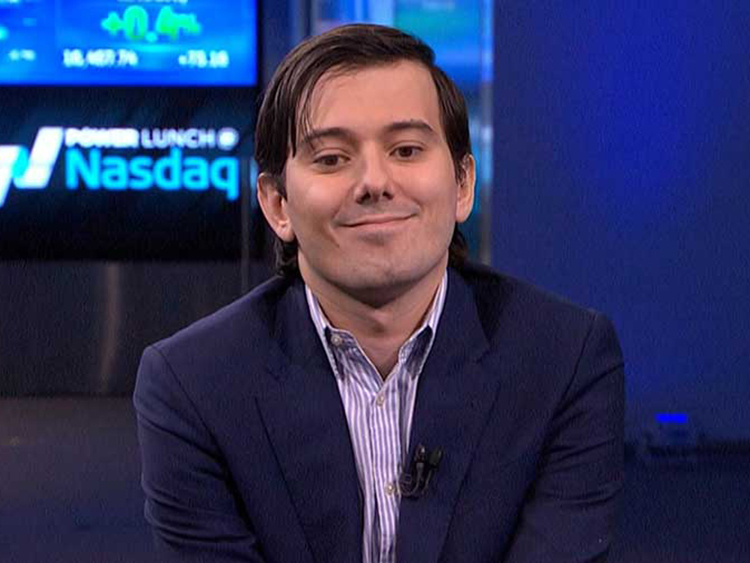 Shkreli declined to comment about the change in price when contacted by the Business Insider website.